House numbers may seem to be one of the most basic and utilitarian features of your home, and in the past, this may have been true. 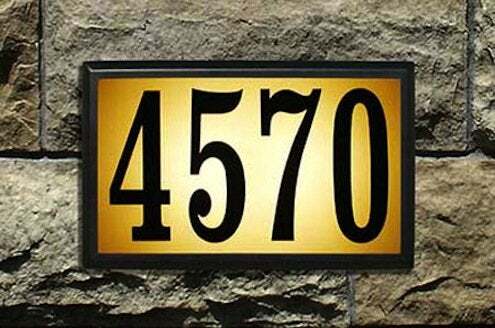 Today, however, there are a range of fashionable and attractive options that allow house numbers to reflect your own personal style. 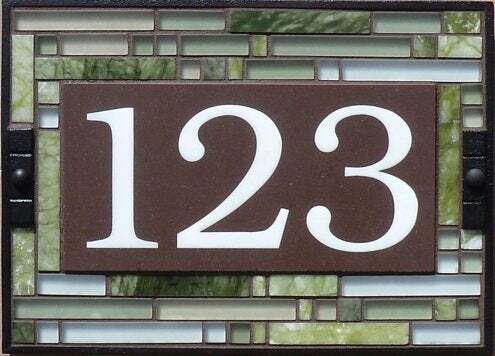 House numbers traditionally have been used as the primary address code for homes in the U.S. and Canada, virtually since both countries were founded. Although some historians say that Paris was the first city to introduce house numbering in 1512, other reports state that house numbers were required by Great Britain as part of the Stamp Act of 1765. In any case, nearly all streets in the U.S. and Canada feature numbered addresses. 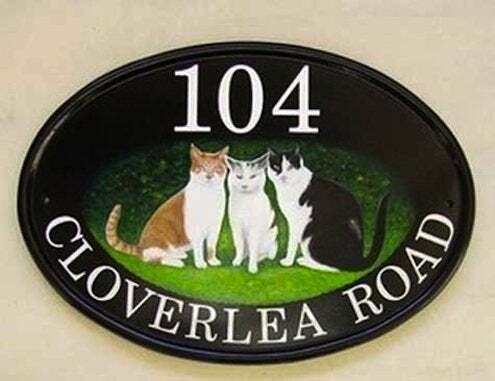 Typically, odd numbers are on one side of a street and even numbers are on the opposite side. Often these numbers start from a specific point, or baseline, such as a city, county, or state line. The advent of standardized 911 emergency response programs in 1968 caused many municipalities to enact laws or codes requiring clearly visible house numbers. Decorative options at that time were severely limited, and homeowners generally were forced to choose between basic black, white, brass or chrome. What a difference a few decades make! Homeowners now can choose myriad materials and styles, ranging from chic contemporary compositions to cute country creations. Looking for more? Consider one of the eye-catching options in 10 Hot House Numbers to Add Curb Appeal and make sure that no one ever misses your house again!